For this evening of performances and play, I designed, illustrated, and typeset an intricate map-poster, as well as its obverse - a detailed text schedule of the details of the evening's performances. Here's what I wrote about the making of the illustration, during my post-deadline celebration, but a few days before the event. 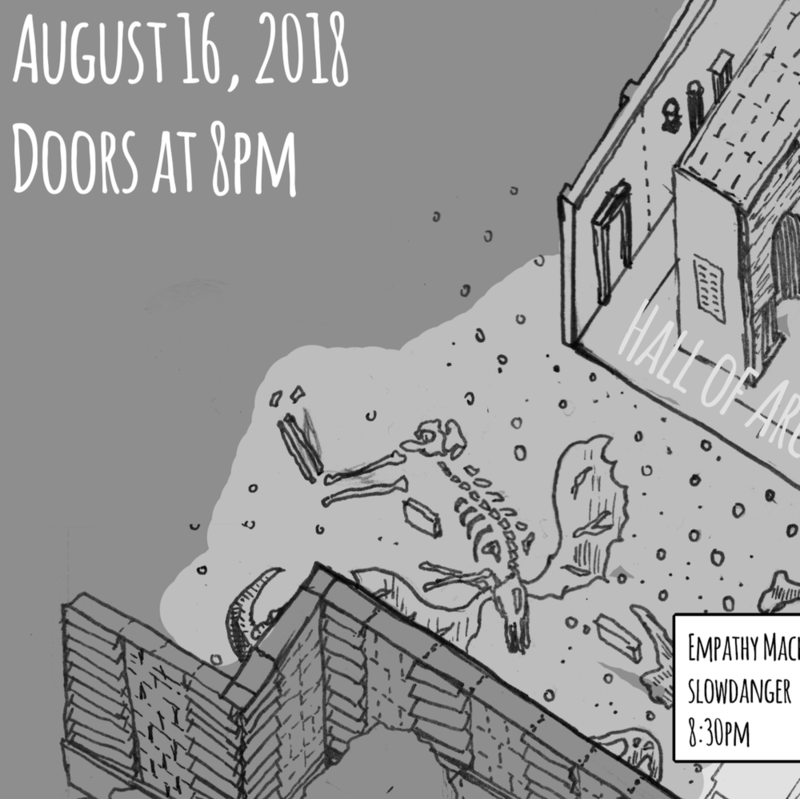 City of Play and Slow Danger are putting on INTIMATE SUBJECTS - an evening of dance, performance, and interaction at the Carnegie Museum of Art. I was invited to design and create the map / schedule for the evening, which will also be a take-home gift for attendees. Creating the poster has only made more more hyped for the event - the museum is gearing up for the fall's International, and the hype is in the air. The contemporary galleries just reopened recently, and many of the evening's performances will be dance events that play within & relate to the newly presented works. Third Thursday events really bring the museum to life in a different way than a regular visit. The Carnegie Music Hall Foyer's lush interior will ring with the sound of back-to-back DJs. The Grand Staircase will have a bar AND an art performance! The Hall of Architecture will see new structures rise, float, crash, and come apart! Tickets are available on CMOA's website, or at the door. I drew each layer on its own sheet of Canson Comic Book Art Board, a really quality product - thick cardstock with no-repro blue gridlines. I prepped all the pages with the same perspective grid, to keep that isometric view consistent. Next time, I'll spend a little longer getting that isometric view set up just perfect. The artwork started in pencil, for blocking and general shape. Most details were done in when I did the penwork. I inked it with Pigma Micron PNs in black. I switched to a new pen twice per layer- they permanently lose their fine line quality after five or six hours of drawing, which is a lot longer than their felt-tip brethren hold up under my shaky and heavy hand. The final penwork was entirely black line on white background. I scanned the layers and composed them in photoshop. The greyscale across the layers is all digital, as are the information boxes. Map posters are challenging - they are a two dimensional rendering of a four-or-five dimensional object. In this case, the Carnegie Institute is a multi-story building with many different institutions within it, not all of which are open for view that evening, with simultaneous events starting, occuring, and continuing across the space. The greyscale shading was all done digitally, after I composited the layers together. The outside world is the darkest grey, with the active spaces on each floor getting successively lighter. Deactivated space on each floor is a shade darker than its active neighbors. Compositionally, I think the poster ended up as well-balanced as I could make it. I tried to keep the baroque detail limited, and keep the text as clean and clear as I could. The notes about start times and programming are *floating in the world of the map* - they are almost all one shade lighter than the floor they represent, so as to more clearly specify which space they are attached to or embedded in. I also tried to make sure the first floor tags were all *clipped* by the edge of the second floor, as a further visual clue that they referred to the lower spaces. The print version has a matching text schedule on the back which more explicitly and clearly lists the details of each performance and the artists presenting it. For the most part, the imagery is a match to the content of each performance. The dancers, artists, characters, observers, and workshop participants are waxy flame-haired people, whose shapely bodies fill and warm the space they hold - the light and vision that illuminates the views and spectacles in each room. The Scribe Bird and its Giant Pysanky Egg are 100% my fantastical artistic addition to the evening's vision - lemme know if you want to help build them in IRL for a future festival. They started as part of the Bosch-esque Long Spoons room, but I ended up moving them to the transitional hallway between the Grand Staircase and the Music Hall Foyer when I realized they were going to be obscured by the second floor. INTIMATE SUBJECTS will be this Thursday, 8pm to 11pm. Tickets are $10! Pittsburgh folks, I hope to see yinz there, and I hope you are able to snag a copy of my work for yourself! I assisted the evening-of as well, performing the role of the bird-cage negotiator in the SMALL PRECIOUS OBJECTS game which greeted guests as they first entered the event. We were quite a spooky and delightful scene! I'll update this post with press photos as they are released. All three institutions were recording over the evening, so I'm sure there are more and better photos than this one.